Vitamin C, known as ascorbic acid, is a water-soluble vitamin you must get from your diet. It is thought to fight the common cold and give you radiant skin, but its health benefits may extend further. It's being used to battle certain cancers, but much more needs to be learned before it's considered a mainstream cancer treatment. According to the National Cancer Institute, high doses of vitamin C may slow the growth of prostate, liver, colon, pancreatic, and other cancer cells. After studies suggested that, in some cases, cancer is a disease of connective tissue caused by low levels of vitamin C, it was proposed that high doses of vitamin C may help, and with less collateral damage. Vitamin C is thought to thicken collagen, a main component of connective tissue. Not all forms of vitamin C show benefits in laboratory research. The combination of dehydroascorbic acid and chemotherapy proved ineffective against some cancer cells. 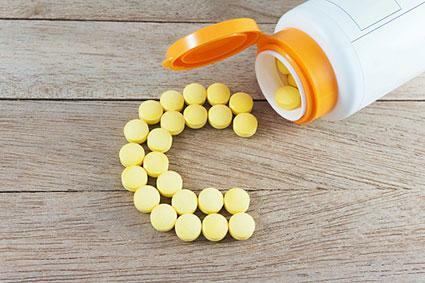 High doses of vitamin C may interfere with other cancer drugs instead of adding benefit and may increase tumor growth. The Food and Drug Administration (FDA) has not approved high dose vitamin C as a cancer treatment. Nevertheless, it may be recommended by some health practitioners as a complementary or alternative cancer treatment. A small study published in the Journal of Korean Science on 39 patients with terminal cancer concluded high dose vitamin C therapy may play a role in adjuvant cancer therapy. Patients were given 10 grams of intravenous vitamin C twice with a three-day interval. They also received four grams of oral vitamin C daily for a week. Patients reported better overall quality of life, and better physical, cognitive, and emotional function. High doses of vitamin C are typically given intravenously (infusions), since oral supplementation may not produce high enough amounts in the blood to kill cancer cells. A study published in Anticancer Research (AR) states that when oral vitamin C is given in amounts exceeding 200 mg, absorption and bioavailability decrease while urine excretion increases. On the other hand, when high levels of vitamin C are given intravenously, plasma vitamin C levels increase because they are not absorbed by the intestines. Since vitamin C is not an FDA-approved cancer treatment, there is no approved standard dosage. Dosage varies among practitioner, cancer type, and other health concerns. While research is exciting on the impact of vitamin C against cancer cells and tumors, it is not conclusive. More scientific research is needed to determine if and how vitamin C kills cancer cells, which cancer cells it's effective against, and how to use it safely. As a result, and to lessen the risk of serious side effects or worsening cancer, never use high doses of vitamin C to treat cancer or any medical condition on your own. Only use under the supervision of your doctor or alternative health practitioner.